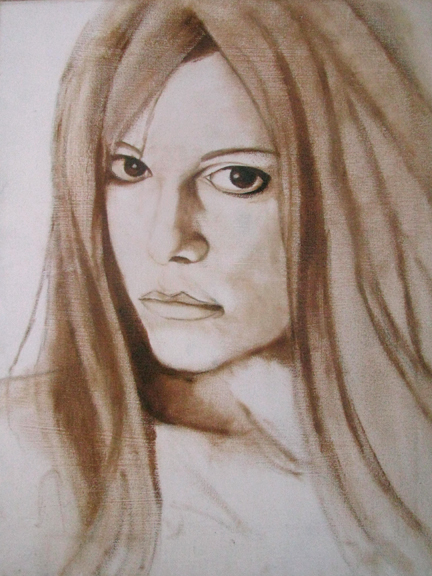 I started to do the preliminary sketch for this painting of Jilly Ann using burnt umber paint and I just loved the simply ease with which the sketch alone seems to capture her perfectly. I felt if I were to continue, I would only over-work the painting, so Im leaving it like this. Click here to return to Jilly Ann's "Model of the Month" page.